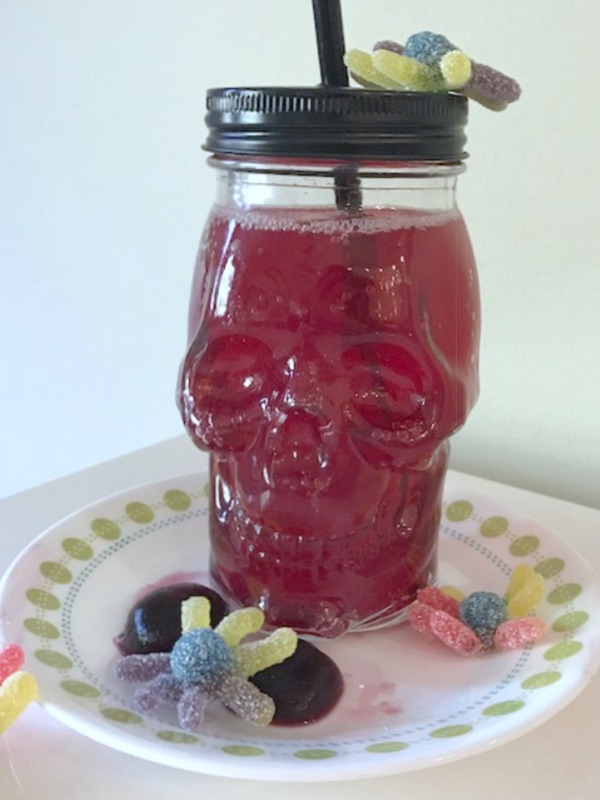 This sweet batch of Halloween Punch is just delicious. It’s the perfect size recipe for a small group. Pour into fun glasses and enjoy every sip! 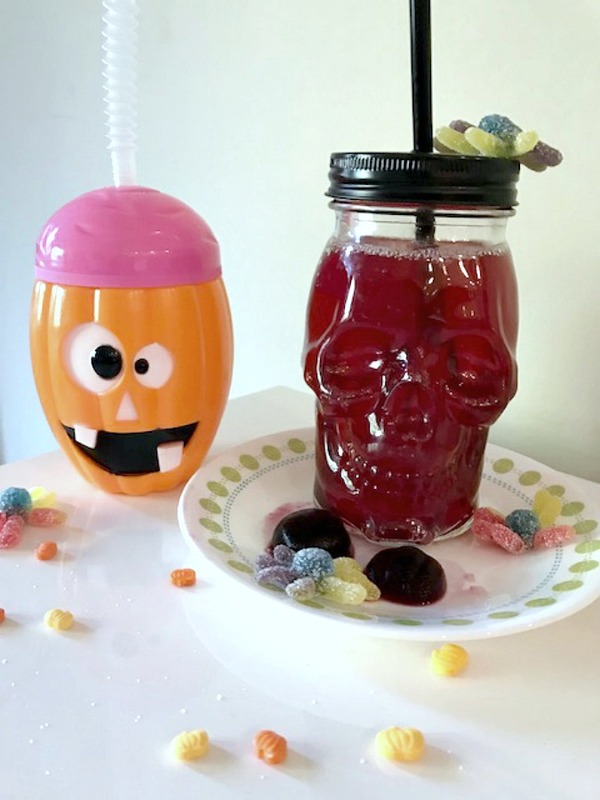 With Halloween right around the corner, it’s always nice to have a fun beverage to serve the family. 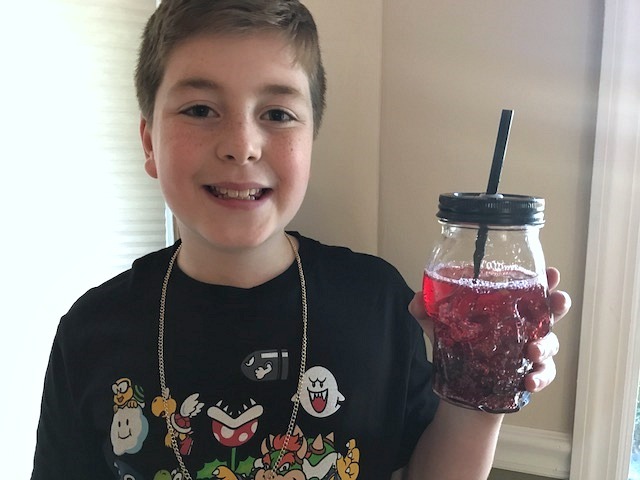 This easy-peasy punch recipe is a collaboration of my son Josh’s favorite drinks all mixed up into this great tasting and refreshing punch. A little help from me and I think we came up with a winner and so did the rest of our family. We made a small batch since it’s just the four of us. Josh had the idea of freezing grape juice to make the ice cubes. We had a mold of little pumpkins so that’s what we did. This is a really easy recipe that’s also versatile. Add or take out and it’s still delicious. Have fun making this. Pour ingredients into large pitcher. Mix with a long wooden spoon. Place in fridge to get nice and cold. 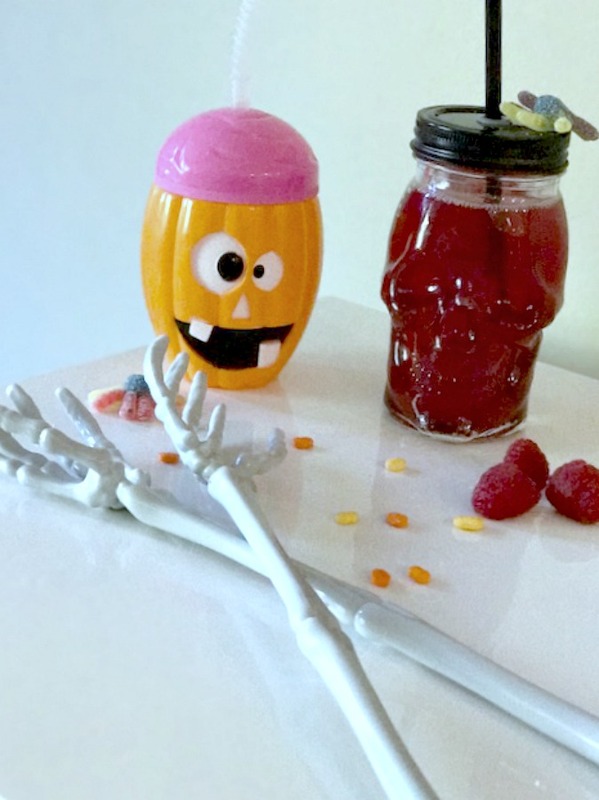 Pour into fun glasses, toss in some frozen raspberries and ice. This refreshing and delicious punch recipe is perfect for a small group. 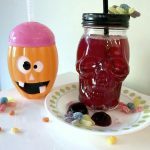 Great for anytime of year and especially when you put in fun Halloween cups, makes a fun fruity punch everyone loves to sip. Enjoy!